One week has passed and I am positive there are still cosmic drones of power chords and the lowest of frequencies hovering over a small quarter in Ottawa, Canada’s humble capital city. The Ottawa Explosion Weekend is one of the punk communities most hidden gems of a festival that showcases all kinds of punk, garage and hints of metal and psych bands over five days. This particular Explosion was a spectacle of well-organized chaos, fantastic band rosters and the most friendly and positive vibe imaginable… I cannot express this with any combinations of words, “sorry!”, you will have to experience it for yourself to believe it. Art galleries have been a part of independent music since it’s infancy, in this instance the gallery is named Saw and it provided the perfect esthetic backdrop for the music, free-thinking and loose behaviors that were prevalent during these tuneful days. This was the home base for us through the weekend. where most of the music, merchandise tables and socializing was handled. There is an outdoor terrace with cobblestone, concrete and grassy knolls to sprawl out during the afternoon while you take in the music and some draft beer, this goes on into the early evening. When the night falls Club Saw opens up in the basement and bands take over the stage until 2am. The next closest venue is Mug Shots which is a pub based in a retired jailhouse building (it’s a hostel as well!). Mug Shots offered a pub styled venue as an enclosed, open-aired concrete courtyard. This was amazing for the reverb-y bands and added a very gritty and surreal atmosphere as it used to be a jail courtyard. There was also the local hotspot House of Targ, some record store performances at Vertigo Records as well as some other music friendly venues hosting acts during the weekend. Geographically this was easy to get a handle of and there was most everything you needed within walking distance including beer stores, restaurants, and coffee shops and of course some cool head shops to check out. The first night of music was a perfect party situation; you could see the bands showing up, old friends exchanging pleasantries and overhear people talking about what’s to come of the next few days. This was pretty much the daily grind throughout the weekend, it evolved daily as the intensity was building and those early fumbling and chatting most likely developed into new friendships, or at the very least comfortable acquaintances for the weekend. Everyone involved was relaxed and at ease, even the organizers, the bar staff and security were very accommodating to us 300+ punks in various states of sobriety and social disorder. Pogo-ing, moshing, skankin’ and crowd surfing was all good, people generally were cool with it all and were helpful to their fellow miscreants who fell during the more tense sets where bands mutated their audiences into frenetic beings controlled only by impulse and rhythmic muscle twitches. The overall roster was staggering; there is no way to cover all of the great music that was played. There were very little conflicts with genres or bands competing for audiences, most bands were well placed amongst their peers or were slipped in to other lineups, which only added to the dynamics for each night. The heaviest hitters were The Marked Men, Nervosas, Vacation, White Wires, and of course the “surprise guests” Radioactivity who delivered a tight set with a monster sound. I have long seen a crowd react that way to a band with only a debut record out – the vocals were delivered perfectly and the masters of their craft executed the songs with fresh energy. The other above-mentioned acts all equally delivered their art with precision, energy and conviction. I consider myself privileged to have seen all of these bands live and loud and look forward to hearing more from all of them. Some very notable mentions for this festival were the Abandos, Crusades, Famines, Feral Trash, Needles//Pins, Outta Controller and the Sonic Avenues. Judging on the crowd’s reaction to their performances and their songwriting, these bands certainly gained new fans from this event and have definitely made a strong impression on this writer. Some of these bands have fresh records out and I heard rumblings about new releases and label hopping from some others. Bruised Tongue Records line up featured some great acts – Dirt Cult, Hosehead Records and Let’s Pretend brought out the best of their rosters. Of course there was Dirtnap Records and all of it’s presence, represented proudly by being a long time supporter of this event and continuing to show interest in the scene. The Ottawa explosion is an experience of it’s own flavor and is well worth a drive, flight, hike or whatever you need to do to get there. We drove 13 hours and paid 60$ to take in 5 nights of entertainment and socializing with like-minded individuals, where else does that happen? I am already dreaming up next year’s roster for myself… see you there! Check out the Ottawa Explosion Weekend site and the Ottawa Showbox for the visual perspective. 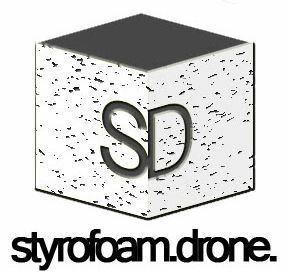 Also, stay tuned here at the Styrofoam Drone for an interview from the Ottawa Explosion with VACATION coming soon.